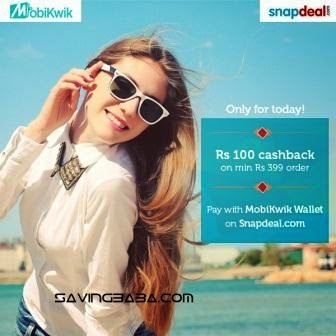 • Pay with MobiKwik Wallet on SnapDeal to get Rs. 100 Cashback. Order value should be Rs. 399 or more. • On order value less than Rs. 399, cashback will be 10%. • Deal valid between 12:30PM to 11:59PM on 21 November. 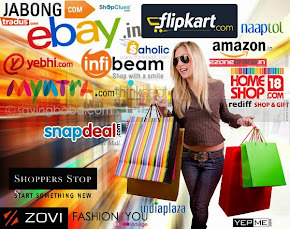 • Cashback confirmation e-mail or SMS will be sent within 24-48 hours. In Make Payment > CashCard/Wallet > MobiKwik Wallet.